We all have that favorite photo. The one where our mothers are holding us and you can tell by the picture how much love was captured in that moment. This Mother’s Day, we would love for you to join us as we capture your moments with your child, grandchild or your loved one. 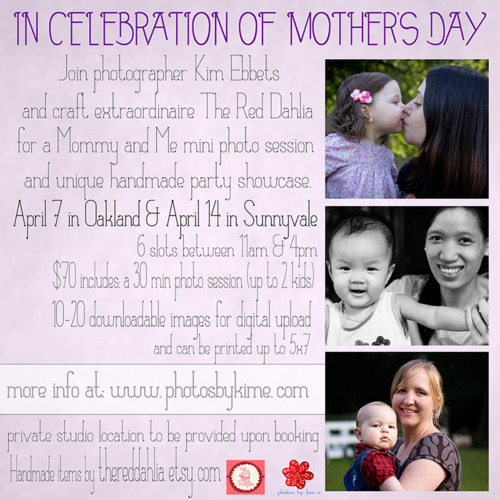 Space is limited so if you and your child would love to join us on this special day, please email me to secure a thirty minute time slot at: kim@photosbykime.com. Your thirty minute photo shoot session is optimized for mom and two additional people but if you would like to include additional adults or children, it is an additional $10 per person. Once you’re confirmed, I will provide you with a brief questionnaire so I can get to know you and your child a bit more as well as a contract that will need to be signed prior to our shoot. Payment in full will be due prior to shooting. Since the Oakland and Sunnyvale locations are private establishments, I will provide you with the location once you are confirmed. The custom party showcase, custom hair clips and props will be provided by The Red Dahlia so please visit her website at: TheRedDahlia to see some of her amazing work prior to our session. We are excited to make this day special with memorable photos to cherish. 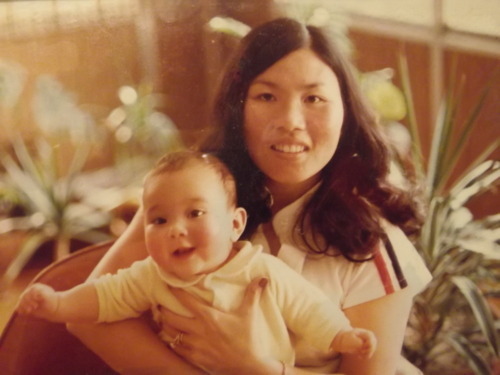 Baby Kim at 9 months.